THE MOBILE HOME PARK known as Old Southern Residential Park at 8261 Airline Hwy in Baton Rouge sold late last month for $800,000. 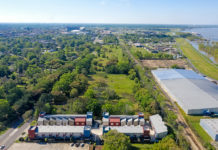 The seller was Old Southern Land and Trust, represented by Clyde Harris; purchaser was Samco Properties, represented by Samuel Richardson and Anthony Pacaccio. The 4.53-acre park adjoins the Home Depot on Airline Hwy just north of Florida Blvd. The sale included 44 pad sites, three small duplex units and a vacant lot that fronts on Harry Drive. At $800,000, the sale price works out to around $18,200per pad site, excluding the duplexes and vacant lot. 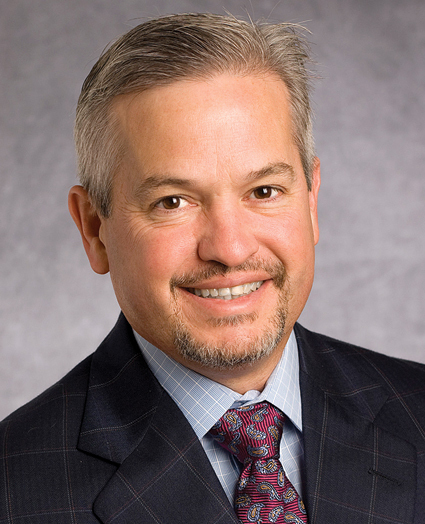 The transaction was brokered by Joey Canella with Sperry Van Ness | Graham, Langlois and Legendre. He says the new owners acquired the property as a long-term investment. The Victorian cottage at 830 North St. sold last month for $225,000, or $130 per square foot. The seller, environmental engineering firm Boudreaux and Black Properties, previously occupied the cottage. The purchaser was HMT Properties, which was represented by Elizabeth Tanner. The new owner will occupy the property with two separate businesses: an engineering firm and a political consulting firm. Canella, who brokered this transaction as well, says the building was in relatively good condition and required only minor upgrades before the new owners could occupy it. The building came with a large enough lot to accommodate 10 parking spaces—an unusual amenity for a building of this size in the central business district. 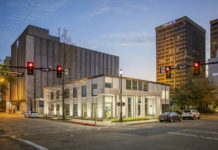 Multiple sales have taken place recently in this area of downtown Baton Rouge near the interstate. In March, a firm set up by Bud Courson bought the Potts House at 831 North St. with plans for it to house his governmental relations and issues management firm, Courson-Nickel. Louisiana Realtors also recently acquired the Cangelosi Home at 821 Main St., which it has plans to renovate. 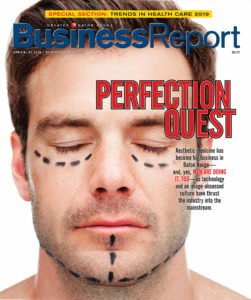 Buyers and investors, it seems, are recognizing the positive influence of all the new development activity downtown. Over in Acadiana, the 100-unit apartment project known as the Breaux Bridge Apartments at 220 Margaret St. sold in early October for $2 million, or about $20,000 per unit. The seller was Breaux Bridge Apartments; the purchaser, Aubrey O. Marks. What’s interesting about this sale is that it carried with it a LURA restriction. This HUD affordable housing deed restriction requires the landlord to rent to families with an adjusted gross income that does not exceed 80% of the area median income. Those restrictions obviously impacted the sale price for this project. Even with the rental rate restriction in place, the sale still generated a very good projected return to the new owner, possibly exceeding 12%. Generally, these sorts of projects are located in less-desirable areas, but this one is the only apartment project complex in its neighborhood, surrounded by two public schools, the Army National Guard Armory and the Breaux Bridge Fire Department. The complex features 50 four-bedroom units, 40 three-bedroom units and 10 two-bedroom units. The property was brokered by NAI Latter & Blum’s newly formed multifamily division that includeds R. Dean Bryson, Ty Gose, Dave Treppendahl and Chris Gremillion, all of whom were listed on the sales flyer as listing agents.